NDO – Two international exhibitions including the 3rd World Glasstech Vietnam 2018 and the Vietnam – Doors and Windows 2018 opened in Ho Chi Minh City on August 16. 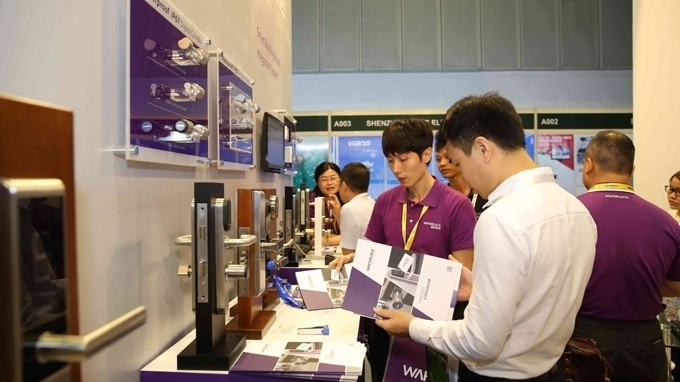 The exhibitions have attracted the participation of around 300 enterprises with 530 booths, divided into five main sections for World Glasstech Vietnam – Windows and Doors, Secutech, Fire Safety and Rescue, Smart Home, and Electricity and Automation. According to Ho Quynh Hung, Chairman of the Vietnam Glass Association, Vietnam’s glass industry has thrived over the past five years with more than 10 large manufacturers and 500 large enterprises operating in the field of glass processing and installation. Vietnam’s glass production is currently ranked among the top five in Southeast Asia, he said, adding that Vietnam has more than 150 million tonnes of reserves of white sand resources, while consumption demand is increasing, creating new advantages to attract domestic and international investors. Recently, the Vietnamese Government has paid greater attention to developing glass production in the direction of safety, energy efficiency and environmental friendliness and many businesses have seen the importance of investing in technological renewal in order to diversify and raise the quality of products to meet the standards and serve the increasing demands of the market, thus contributing significantly to the development of the industry.